Concerns about rising levels of obesity and cardiovascular disease have led to a considerable amount of attention to how the built environment can be designed to create more opportunities for physical activity. I’ve said it before, ones address can play an important role in how long we live and how healthy we are. The physical design of a community affects our health every time we step out the front door. As I have gotten more involved in Community Health Initiatives I have had the chance to meet and explore a lot of great community projects such as the Atlanta BeltLine, Carrollton Greenbelt, Active Living Spartanburg South Carolina and the Team of Mules in Maury County Tennessee. Community Health is a concept that has been around a long time but we have seen a tremendous amount of energy and concentration within the past couple years, and it starts with the built environment. The Built Environment meaning green spaces and trails or sometimes the lack-off. Take for example the Atlanta BeltLine and what it means for the community of Atlanta – a 22 miles HISTORIC rail corridor being converted into a multi-use path. Now add unique technology elements from Social Media Platforms, Daily Tracking Devices, Virtual Maps and Gamification and one can only imagine how creative this can become in rewarding the community for being healthy. When I launched the Running Series for the BeltLine back in 2010 I had crazy ideas around mingling technology into the picture, basically a way to socially connect participants with community events and reward their accomplishments. In the second year we had a lot of prizes where participants could redeem their points for merchandise, such as a free case of vitamin water from WholeFoods or tickets to an upcoming Ballet – it was real cool. In Maury County Tennessee nearly one third of the population is considered obese and even more are overweight. This has prompted the Wellness & Aquatics Complex to encourage change in the community. Mule Day has been a long time running tradition that attracts over 200,000 people annually. The Mule Kick 5K in recent years has also become a staple of the Mule Day traditions, with 870 participants running last year’s race and growing every year. The Wellness & Aquatics Complex decided to expand this effort further and propose a three month challenge to Maury County to lose a team of mules (8 mules= 8,000 pounds) by Mule Day. Another recent example is Tanner Health System in Carrollton Georgia as they were a recipient of a Community Transformation Grant from the CDC for over $1Million. Community Transformation Grants are handed out to Non Profits focused on community development initiatives. They set up a community wide weight loss challenge and a list of fitness events. They also have their own version of the Atlanta Bel tLine – a 16 mile trail being developed in the community – The Carrollton GreenBelt. The Carrollton GreenBelt is a 16-mile trail system designed for pedestrians and non-motorized uses. Once it is complete, the trail will connect existing neighborhoods with the city school campus, the University of West Georgia, the city parks, and several commercial shopping areas. The Carrollton GreenBelt is the largest greenspace and greenway conservation project that the City of Carrollton has undertaken. 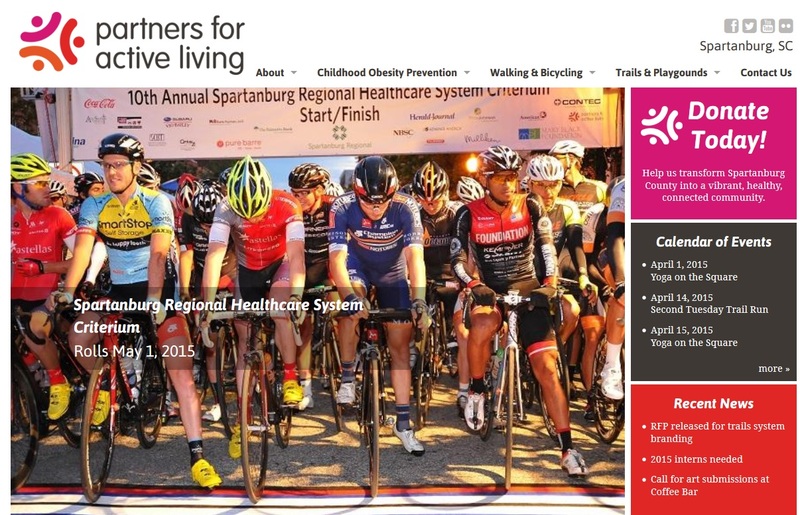 Yet another great program is occurring in South Carolina, Partners for Active Living transforms Spartanburg County, South Carolina into a vibrant, healthy, connected community. The history of the organization dates to 1996 when a study commissioned by local leaders called Healthy Spartanburg found cardiovascular disease and obesity to be among the greatest health risks facing Spartanburg. Partners for Active Living, which was originally called Heartwise, was created to help address the problem. In 2003, the organization changed its name and shifted its focus to address the root causes of cardiovascular disease: physical inactivity and poor nutrition. Partners for Active Living frames takes a three pronged approach, which all point to healthy eating and active living: childhood obesity prevention, trail development, walking and bicycling for everyone. These are all amazing examples of organizations that are leading the way to healthier communities and creating fun challenges to engage participation. A common element all these initiatives have are new trails/greenspaces and of course some sort of web presence or reliance on technology — or better stated they are all trying to figure out the best way to use technology to create ‘sustained’ engagement in the community. In a future blog we will talk more about how technology will play a pivotal role with these initiatives. Its a Jamboree – What do Music and Cycling have in common! Did you know there are over 80,000 events in the US? That is a lot of events to choose from much less be aware of. I grew up racing bikes, then started running which led to Triathlons. It was a great workout that allowed me to relieve my stresses from the work week and think of inspirational ideas. One of those inspirations was starting a running series. Have you ever wonder how and why some of these events get setup? What inspires someone to create an event for running, cycling or triathlon. As I started putting on events I reached out to many event organizers just to understand how they do what they do and why. It was real cool discovering the other side of the event, from a non-participant perspective, and it was really cool discovering how events got their start. I had a recent chance to meet a real cool guy via a relationship that I have with America Walks and I got to learn about his event, which was specific to cycling. Michael Denehy is the brains behind the popular Peddaler’s Jamboree which takes place in Missouri and Iowa. 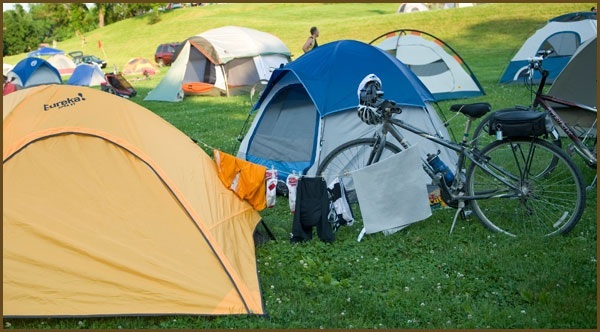 The Pedaler’s Jamboree is a music festival created for bicycle riders and non-riders alike! So as it goes I recently put Mike in touch with a key contact in Dekalb County Georgia in hopes of bringing something similar to the South, only time will tell. 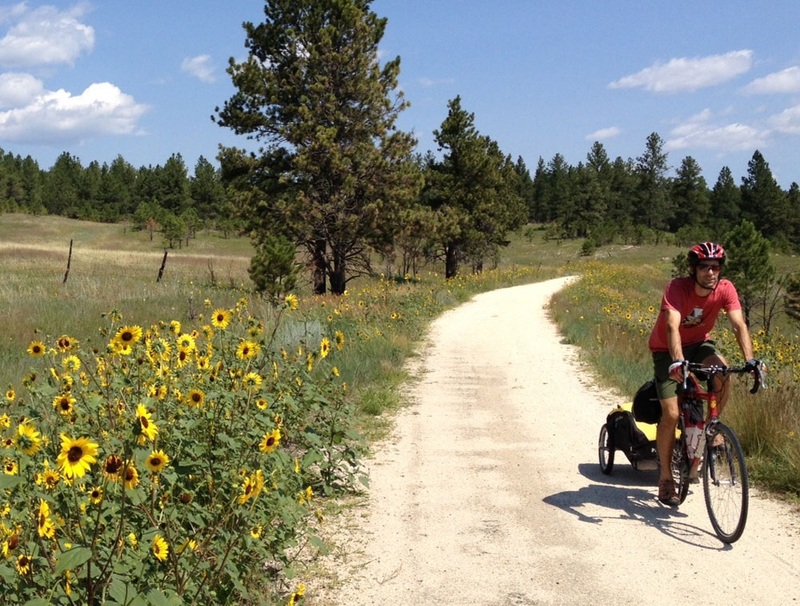 Be sure to check out Pedaler’s Jamboree and join Mike for some fun! In our previous blog we started a framework with regards to gamification, which you can view by clicking on the following link: Gamifying your community to better health. 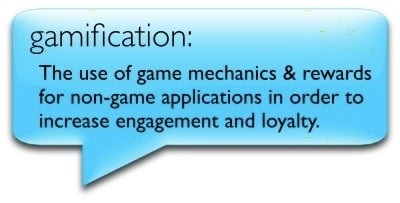 We defined what gamification means and we provided some high-level examples on what one could do to engage their community. In this blog we are going to focus a little more on how to implement such techniques and how to determine success rates. Before I talk about a specific way to engage your community, I like to always reference stats as I am big on numbers because of the story they tell. Did you know over 2/3rds of employers consider gamification an effective strategy for encouraging their employees to improve their health? This stat comes from a leading research company M2 Research and more than 30% of employers intend to adopt a minimum of one health-focused gamified strategy in the next year, according to BI Worldwide. What these stats tell us is the concept is becoming more mainstream with employers as they look for ways to engage their employees with fitness. So what does this mean to someone that manages a Parks and Recreation Department? It means these companies are beginning to look for events and places that they can leverage to engage their employees. So what can be done to engage with such companies or individuals? One thought is geocaching, which is a great technology that takes scavenger hunting to the next level, it’s a great way to get companies, families and individuals out in one’s community exploring new parks or trails and finding clues along the way while sharing their findings with friends. What you could do is setup a team challenge where members of a team visit numerous destinations along a pre-defined route that you choose in search of clues. Once they find that clue they would need to answer a question in order to move to the next level or location, this is where technology can come into play. Perhaps that question can be related to the history of a trail or adjacent park. What a great way to learn about one’s community. The end goal could be time based, so the first team that finds all clues and answers them wins a prize. It’s easy to find local businesses in your community that will donate prizes or gift cards for such endeavors, its good exposure for them. So how do you measure success? One simple way is the number of participants, however one can expand upon that to truly see how engaged participants are with the challenge, is everybody trying to finish the challenge? Are the clues compelling? Are they sharing with their friends or inviting their friends to join? What is the gender and age breakdown of these participants? All this information can be accessed by setting up a challenge and that same information can help you with future grants or sponsorships to continue to offer similar programs in your community. Remember people like to play games, challenge their friends and share, this is the hallmark of a successful event, how engaged are your participants? Our next blog will focus more on the growth of participatory sports such as road races and mob events and how to capture engagement throughout the year as opposed to a one-time event. Let us know what you think about the blog! 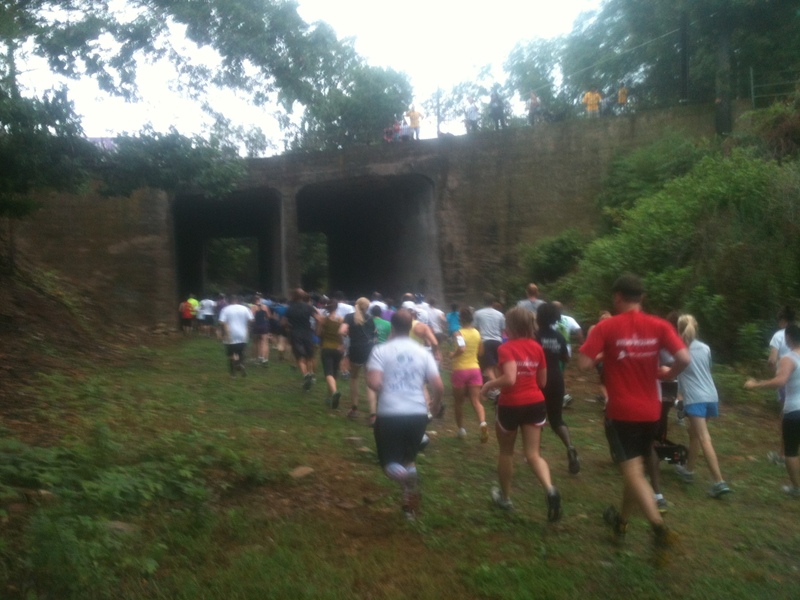 It seems like yesterday that we were preparing for our very first 10K on the Atlanta BeltLine. The 10K was held on December 3, 2011, the same day as the SEC Championship. When I was planning that race I thought about many things, such as what other races are occurring as we didn’t want to compete with an existing holiday-themed run that has been around for a while. We also wanted to make this a very special event and thought long and hard about it and came up with the idea of a tailgate challenge. While Atlanta hosts many sporting events, such as the SEC Championship, what better way to celebrate the day. So we decided to put the race on the same day as the SEC Championship but we thought let’s not limit this challenge to just SEC Fans but everybody. 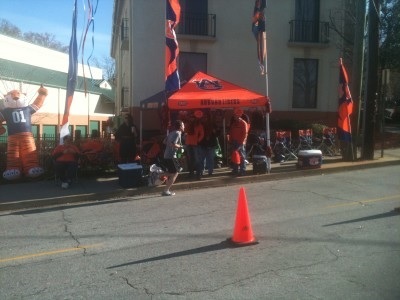 I went to Auburn and of course everything is about the SEC from my perspective, but this wasn’t about me so we turned this into a tailgate theme with the goal of getting a lot of Atlanta-based alumni associations to come out, wear their school colors, cheer on the runners and set up a tailgate tent along the race route. We thought it would be a fun way to invite the visitors coming in to watch the game to start their day off with a little exercise and fun before getting ready for the big game! How fun would it be to run a 6-mile race with every mile having some sort of collegiate theme. We had prizes for the winning alumni teams and it was based upon school spirit, how many folks showed up and what kind of tailgate they set up. The prizes were happy hour events at local restaurants. What restaurant wouldn’t do this with a chance to host a large group and possible future opportunities? In our first year of hosting this 10K and the challenge, we had close to 1000 runners, and a dozen universities came out and setup tailgate tents at the finish line. The weather helped with spring-like 60 degrees on a December morning. That is the great thing about Atlanta as you never know what you might get in the wintertime. Most of the time it’s likely to be some great running weather. We also had a great host that day. Park Tavern is a great restaurant/event facility alongside Piedmont Park. Our inaugural year of the Atlanta BeltLine concluded at that event and it was a great year. Of course we wanted to build upon that event and make it larger so as the December 10K approached in 2012, we kept the tailgate challenge in place but we decided lets also create a neighborhood challenge. Who doesn’t like a little competition especially when its bragging rights and cash. This time, we changed the location of our start and finish as the Eastside trail was complete, which was great and helped us lower our costs as it related to security. The event last year went through many neighborhoods and was a challenging route to design, but 2012 was going to be a lot easier. We also decided to turn it into a Peachtree qualifier, which brought out more folks. We grew last year’s event by about 500 participants so we went from roughly 970 registered runners to close to 1600 runners. The tailgate challenge was just as awesome with more alumni associations. The neighborhood challenge was a big success but one neighborhood swept the $1000 cash purse. We set up a challenge to determine the largest, fastest and most spirited team. The neighborhood that won took the prize earnings and used it to improve the community! Of course I had a little hiccup leading up to the race. I ended up in the hospital the weekend before and as a result of that experience came away with two hernias. It wasn’t something well timed with the 10K being a week later and I am still recovering from that today. So that brings us to our third 10K which has turned into a very special 10K, centered around the holiday season and with the fun challenges between the neighborhoods and alumni associations. We can only hope the weather will be spring-like in the 60s. We think the crowd will be even larger as of this blog we have close to 1000 runners and we are two weeks out from race day. If you haven’t had a chance to run in a BeltLine race or this 10K, I think you will enjoy the experience and the post-race atmosphere. We have some great partners such as the Atlanta Ballet, who will honor us with a theatrical performance. I hope to see you at the December 7th 10K or sometime at a future BeltLine event in 2014. Stay active and have fun! It’s hard to believe that we have already entered our third season of the Atlanta BeltLine Running Series. It seems like yesterday the committee was forming and we were talking about what we needed to do and when. 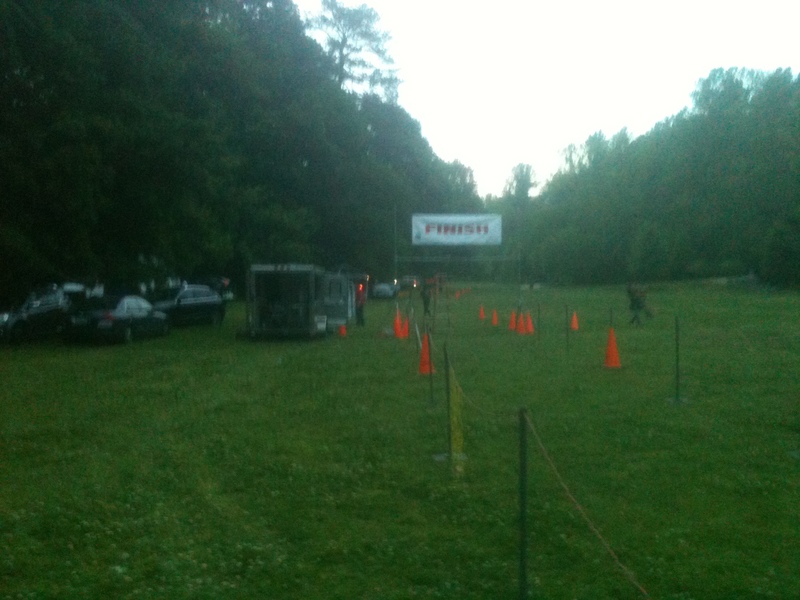 Our first event was held on April 27th, the Atlanta BeltLine Northside 5K, which went really well. We had over 580 registrations. However the day certainly started out very questionable. I don’t know about you, but I have a hard time sleeping the night before a big event or presentation yet I managed to get some sleep despite having to wake up at 4 a.m.
We headed out towards Tanyard Creek Park after a little breakfast. The first thing we had to do was put out a couple of directional signs. The park is a hidden jewel and hard to see from the road. We then put out the main water station with supplies before heading to the park. There is a gravel lot that enters the park directly off Collier Road that makes life very easy to drop off supplies. Otherwise, we would have had to walk through the dark woods. The rental truck was loaded with: thirty tables, a dozen chairs, lawn bags that had goody bags for 600 runners, enough bananas and organic pears from Whole Foods to feed those same 600 runners and a pallet of Coca Cola product for nourishment. You can imagine this truck was loaded down with a lot of items! Oh and of course we can’t forget about the 700 shirts and age-group awards. This all had to be unloaded and set up before 7 a.m. When we got to the park, we received an unwelcomed surprise – a locked gate. You can imagine that my heart sank, but I stayed in control and decided to find a solution at 5:30 a.m. But, what could I do at that hour? Not much! So we moved the fully loaded van around to the nearest cul-de-sac and walked back into the park. It started to dawn on me that my race timer needed access to the park as well as all the vendors, including our radio station. So, this was a major obstacle. As we started to walk back towards the gate, we saw some lights and thought could this be the parks department showing up to unlock the gate. Instead, it was my race timer! Nobody had tools to unlock the gate so we tried to figure out how to get the gate open. We called security and they reached out to the parks department but only got a voice message. Spending 30 minutes trying to figure out what to do, we finally got the gate open with no damage and we were able to get vehicles into the park. This is why I like to get to events early in case of unknown disruptions like this. Soon after, the vendors and volunteers started to show up and the runners began to trickle in. At this point is when all the chaos occurs. Volunteers, vendors and runners show up during setup. With so much activity happening at once, it’s important to be able to be quick on the feet and improvise. Thankfully, most of my committee has been with me for all three years so we have a lot of familiarity with what needs to be done and it gets done fast. Registration was set up and all of the tables were unloaded. We also create a post-race vendor layout as a guide, but we always have to change things on the fly. Sometimes we don’t know what a vendor might bring. To me, this is a special 5k because of the challenge between the Atlanta Police and Fire Departments. This one was great with over sixty participants from the APD and over twenty from AFD. Both teams were in uniform and lined up on opposite sides of the field like two teams getting ready for battle. They were doing their warm-ups and drills and it seemed like they were psyching each other out. It was great! We also created our very first youth run and what was somewhat funny is that we had a hard time tracking all the kids down because we started the youth run about one hour after the 5K, which created some distractions. Because we had a post-race challenge between the Atlanta Fire and Police, everybody was hanging out there watching this about the same time we needed to start the kids fun run. We had about thirteen kids so we asked some volunteers to go out and be a guide so the kids knew where to run. One of them came back and said the kids just shot out like a cannon and they had a hard time keeping up, which made us all laugh. 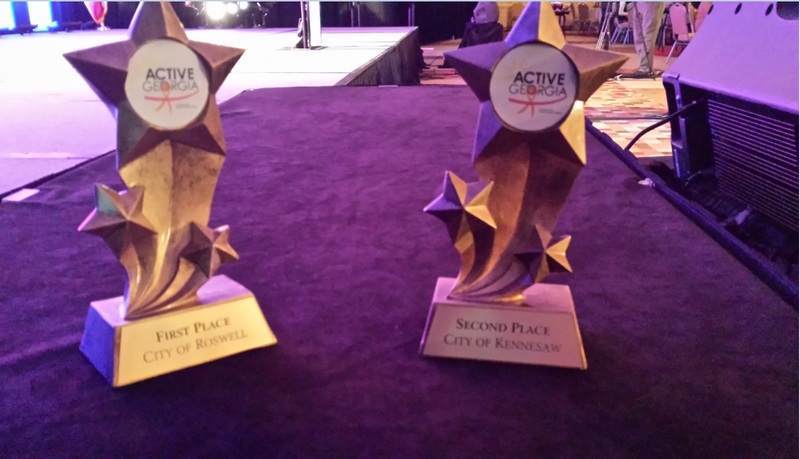 It was a great day overall but then it was time to see who won the Atlanta Fire and Police Department Challenge. Were the Atlanta Police going to win three years in a row or was the Atlanta Fire going to win? It was a close race, but the Atlanta Fire ended up winning with a team finishing time of 1:46:26 to 1:49:35! The race seemed to end pretty fast, starting on time at 8 a.m. We had the rental truck reloaded shortly after 9:30 a.m., but our day wasn’t over yet. We had to return the tables, chairs and the truck. After returning the rented equipment and rental truck, I had to go present at the Cobb Galleria. When I returned home, I loaded the results into the online community to reward the runners with points so they could track their accomplishments and redeem awards. It was late Saturday evening when we wrapped things up and the next day was a lazy, rainy day but soon afterwards we began planning the July 13th 5k!